This badge was issued to Ramses Smeyers on 05 Mar 2012. 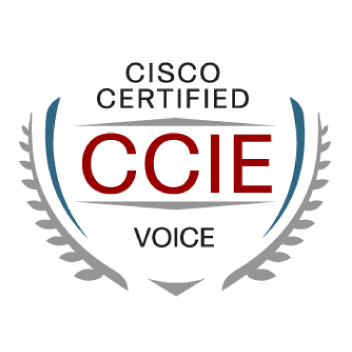 CCIE Voice validates skills required of expert-level engineers to plan, design, implement, operate, and troubleshoot Enterprise Unified Communications networks. Candidate must pass the two-hour, written qualification exam which covers technologies and applications that comprise a Cisco Enterprise Unified Communication solution. Candidates must pass the eight-hour, lab exam in which they will configure and troubleshoot a complex Cisco Enterprise Unified Communications network.